As a former employee of a mega coffee company that started out in Seattle, I still think of fall as Pumpkin Spice Latte season. In Hawaii, we didn’t really have seasons, so I went by the seasonal beverages. You know, Pumpkin Spice in the fall, Gingerbread in the winter, Mango in the spring and Mocha Coconut in the summer. While defining my seasons by what Starbucks beverage I was enjoying was easy enough to do when I worked there, it’s no longer feasable when I have to pay for my drinks. I could happily drink a Pumpkin Spice Latte at least four times a week, but not when it costs me over $4 a drink! So when fall swept in a few weeks ago, I decided it was time to make my own homemade Pumpkin Spice Latte. This is NOT a Starbucks Pumpkin Spice Latte recipe. I may have worked there but I have no idea what goes in that yummy orange pumpkin syrup. In fact, technically this is not even a latte because I don’t use espresso or steam my milk. While we do have a little espresso machine at home, not everyone does, and I wanted this to be an easy recipe that anyone can make on their own. I use a french press to brew our coffee, if you use a coffee machine, just put the pumpkin pie spice in with your grounds and brew a small amount. Do you have a favorite seasonal coffee drink? Put the pumpkin pie spice, ground coffee and hot water in a french press. Let the coffee steep for four minutes, then press and pour the coffee into a mug. 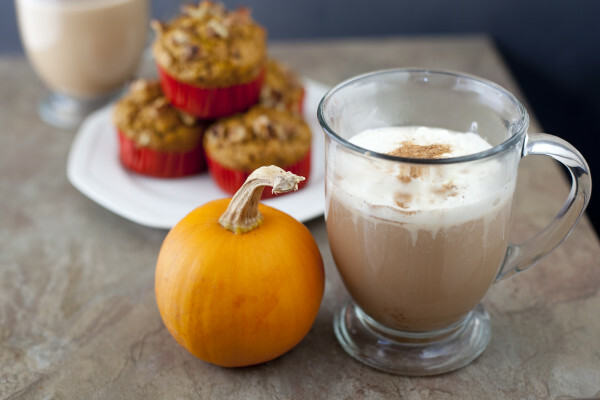 Stir the pumpkin puree and maple syrup into the coffee. 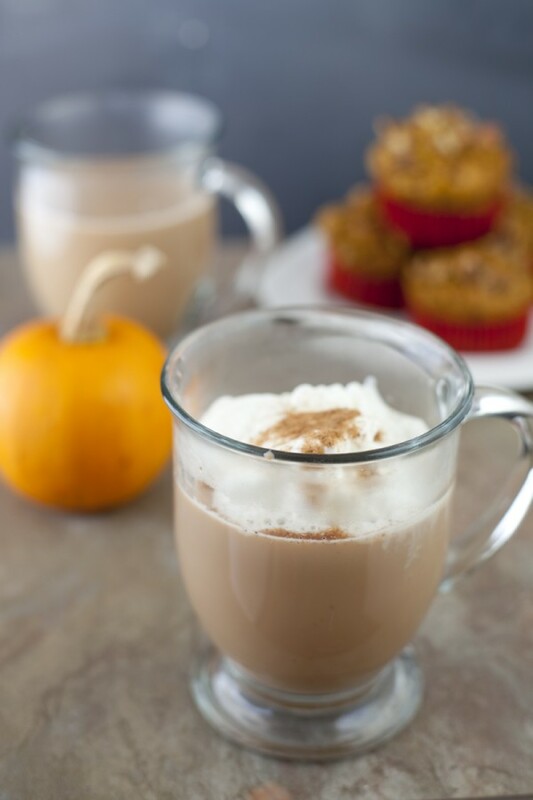 Stir in the hot milk and enjoy your cup of fall! Approximate cost/serving: About 50 cents. Way cheaper than Starbucks! Vegetarian/Gluten free: Yes and you can use soy or rice milk to make it vegan. Thanks for the recipe, it sounds tasty! I thought zero PointsPlus sounded too good to be true, so I ran the recipe through the Recipe Builder in eTools on the WW site. It says it’s 3 PointsPlus per serving. In looking at the recipe more closely, I think the fiber content in the nutritional info must be off. I don’t see where there would be 10.5g of fiber. The only thing that would contain fiber is the pumpkin puree and there wouldn’t be 10+ grams in just 1 tbsp. I thought so too Melissa, good catch! I went back and discovered that the recipe builder I’d used somehow had incorrect info for the pumpkin. I adjusted all the nutritional info to reflect the correct amounts. Thanks for the heads up! Hope all is well, with the baby!! I’ve been busy, so haven’t been checking up on all my blogs that i read! I make a very similar syrup for my company (yelm confiture) bc, although I love the ‘bucks pumpkin spice syrup…it doesn’t have any pumpkin in it. The homemade ‘real’ version is sooo much better. I just got done with a christmas bazaar in portland, and sold 5 cases! (i guess every one else likes it too!